Tendeka is celebrating yet another major milestone, this time for installing over 20,000 Autonomous Inflow Control Devices (AICDs) in wells worldwide. Recent installations have taken place in a number of countries, including Norway and China, with further operations about to commence in Canada and Thailand. 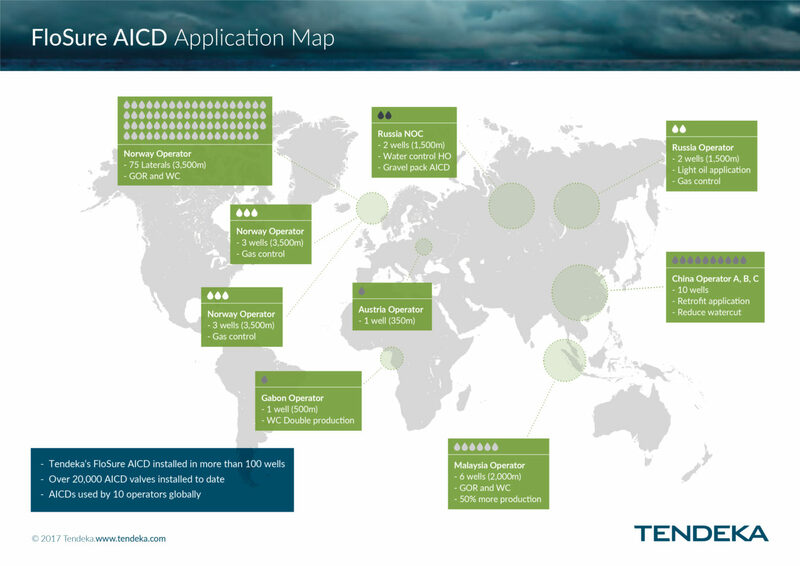 Tendeka is the market leader in AICD technology, as well as one of the top suppliers for sand control systems.